This post is sponsored by Vocalpoint and up & up. All opinions are my own. I’ve pretty much hated our half bathroom ever since we moved into our house seven years ago. It’s tiny and boring. In fact, it’s possible that several guests have fallen alseep while using the restroom because they were so bored. So when up & up brand bath tissue challenged me to upgrade my bathroom, I knew I could make this room a happier place without spending a fortune. 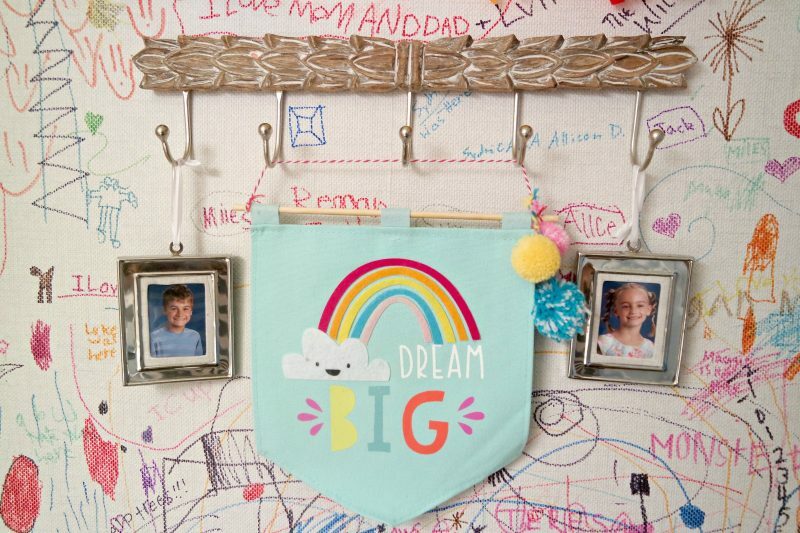 To get started, the kids and I headed to Target for toilet paper and inspiration. Spoiler alert: We found both! I was excited to give up & up Ultra Soft Premium Toilet Paper a try, and I have not been disappointed. The kids love it because it’s super soft. I love it because it’s unscented and has no added perfumes or fragrances to irritate sensitive skin. And – the mega plus rolls are massive – which means I don’t have to nag the kids to replace the toilet paper roll as often. Please tell me you can relate! 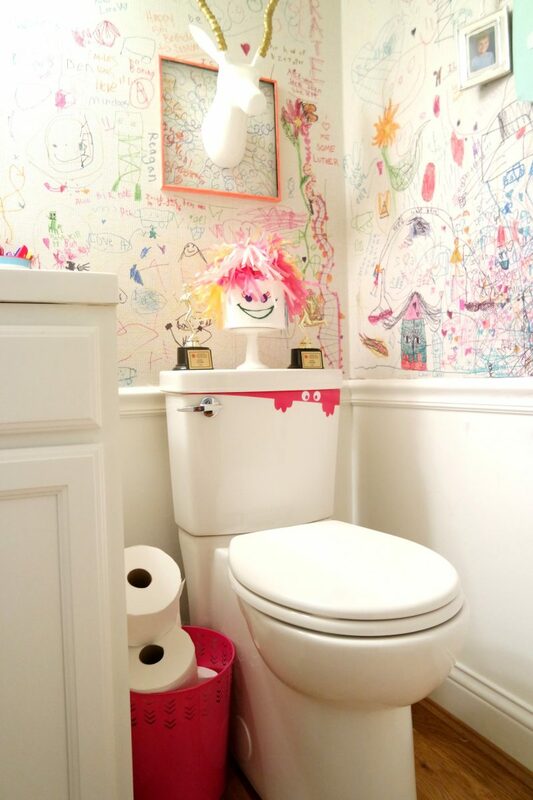 As for decorating the bathroom, we grabbed some up & up brand permanent markers and a few items from the Target dollar bins and got busy upgrading! 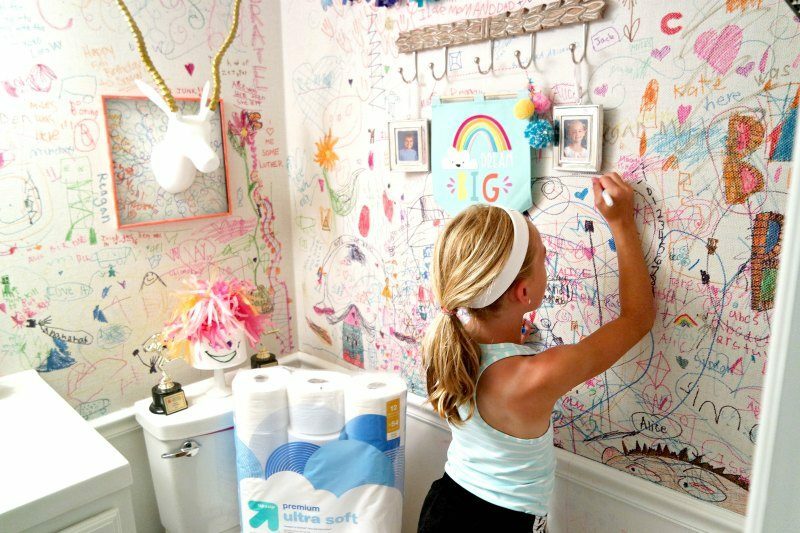 First, I told the kids to write on the walls. Then I hung up a few of my favorite finds from the dollar bins. 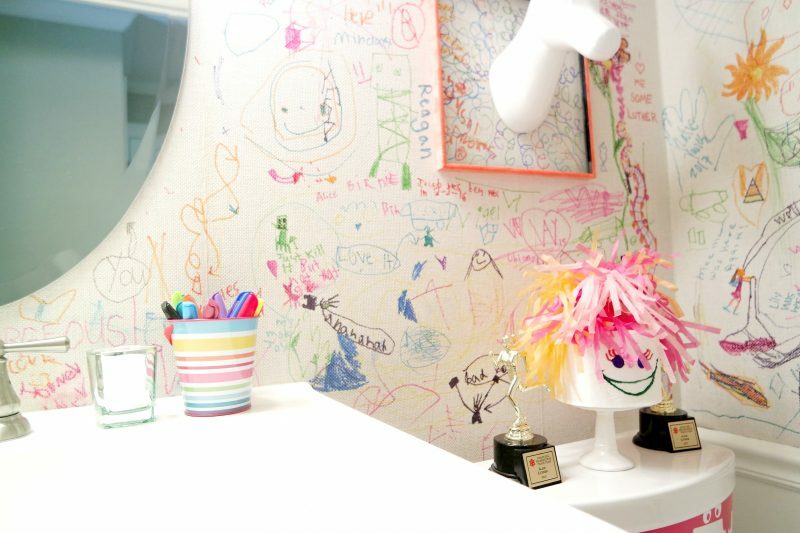 This little tin bucket holds our permanent markers for future guests, and for when my kids are inspired to write on the walls. And the candle is basically required. Amiright? 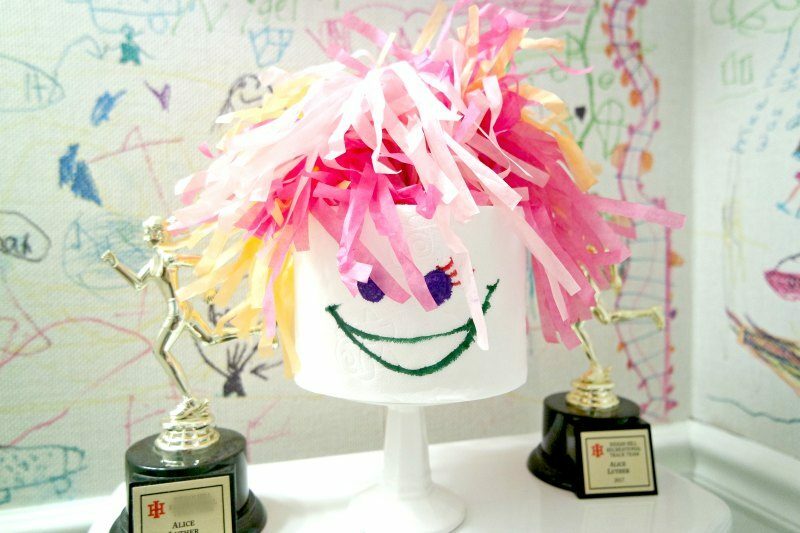 I also created a sweet little up & up toilet paper gal that sits on the back of the toilet. I’m still trying to train her to remind my kids to WASH THEIR HANDS! No luck so far, but a mom can dream, right? 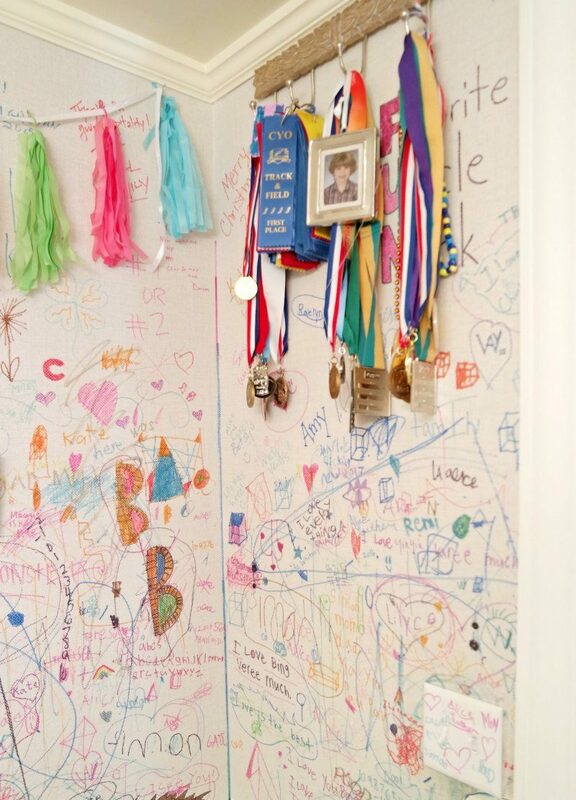 And, for no apparent reason, the kids and I decided that this will now be the official room in which we display our trophies, ribbons and medals. And the kids’ school pictures, naturally. 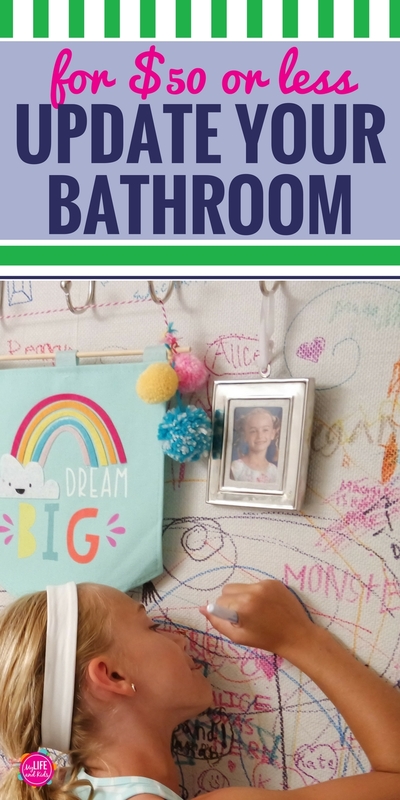 When it comes time for you to upgrade your bathroom, throw out the old rules that say you can’t write on the walls or keep your trophies on top of the toilet. 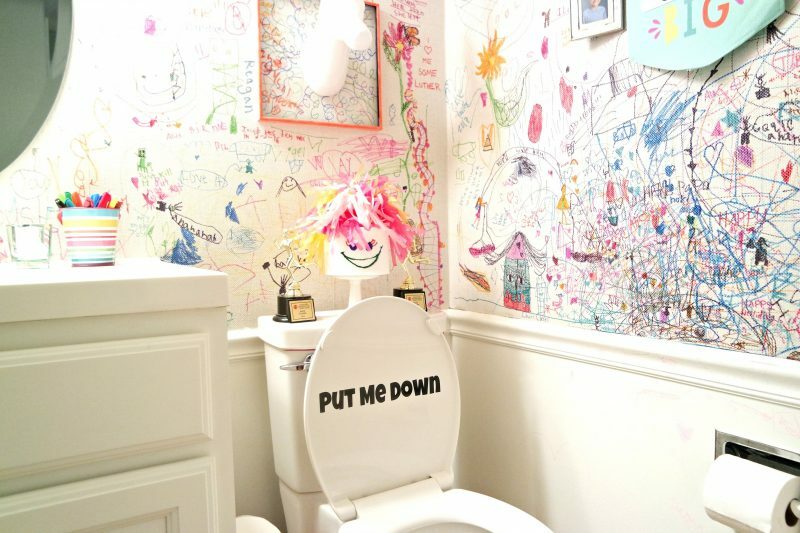 Make your bathroom a fun place that brings a smile to your face – even when your kids forget to put down the toilet seat. 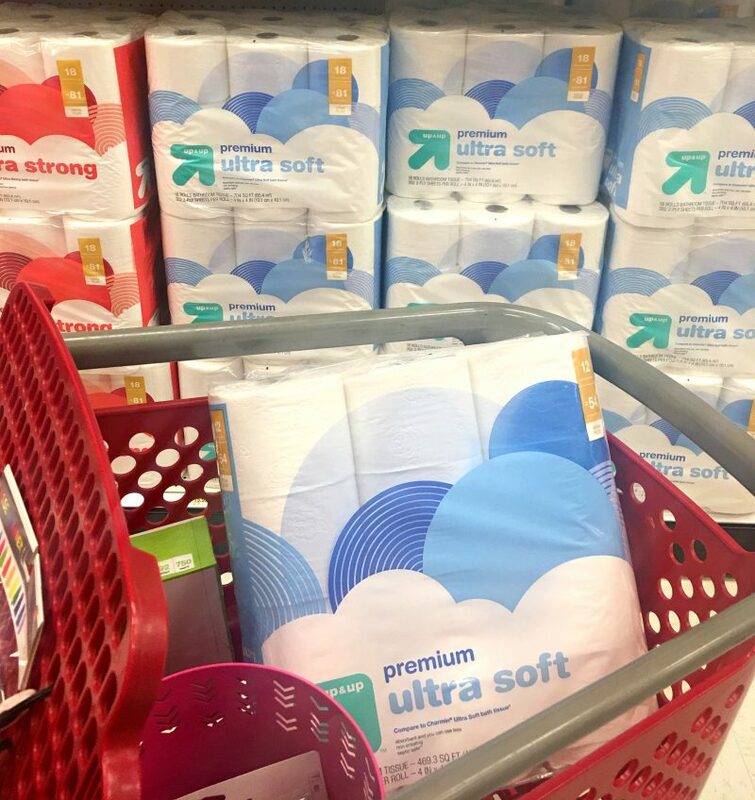 And when it comes time to buy your next round of toilet paper, grab up & up Ultra Soft Premium Toilet Paper at Target. Now it’s your turn to upgrade your bathroom! Use the form below to enter to win a $50 Target gift card. I’ve already covered this, but in case you missed it, this is a sponsored post. All opinions and wild decorating ideas are my own.